Saturday, February 25, 2017, 7:00 p.m. Impressed by Mr. Kuleshov’s great talent, Vladimir Horowitz invited him to his New York apartment in 1989, a meeting that was touching and intimate. The maestro not only listened to the young virtuoso play, but also gave him most valuable advice and offered to give him consultations free of charge. Unfortunately, the great pianist’s death in November 1989 left this dream unrealized. 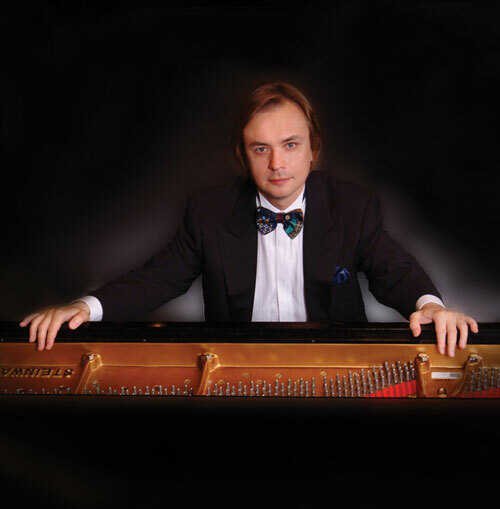 Valery Kuleshov’s performing art is based on the best Russian piano traditions. One can find in his playing emotional sincerity, rich colors, brilliant virtuosity, profound understanding of composers’ styles and freshness of interpretation. His playing has been compared to the style of Vladimir Horowitz with vast dynamic contrasts, consisting of tremendous double-fortissimos followed by sudden delicate pianissimos. Mostly he is attracted to the romantic music by Schumann, Liszt, Chopin, Brahms, and Rachmaninov. The great place in his concert programs belongs to Scriabin’s works, as well as classical and contemporary music. In addition to many other awards, Mr. Kuleshov was awarded the rare distinction “Honoured Artist of the Russian Federation” in 1997, by decree of the President of Russia, Boris Yeltsin. While maintaining an international performing schedule, Valery Kuleshov serves as artist-in- residence at the University of Central Oklahoma in Edmond, Oklahoma. He also performs duo piano repertoire with his incredibly talented daughter, Tatiana Kuleshova. Mr. Kuleshov has recorded nine CDs, featuring the music of Chopin, Liszt, Mendelssohn, Rachmaninov, Saint-Saëns, Paganini, Horowitz, and even John Philip Sousa’s Stars and Stripes Forever. 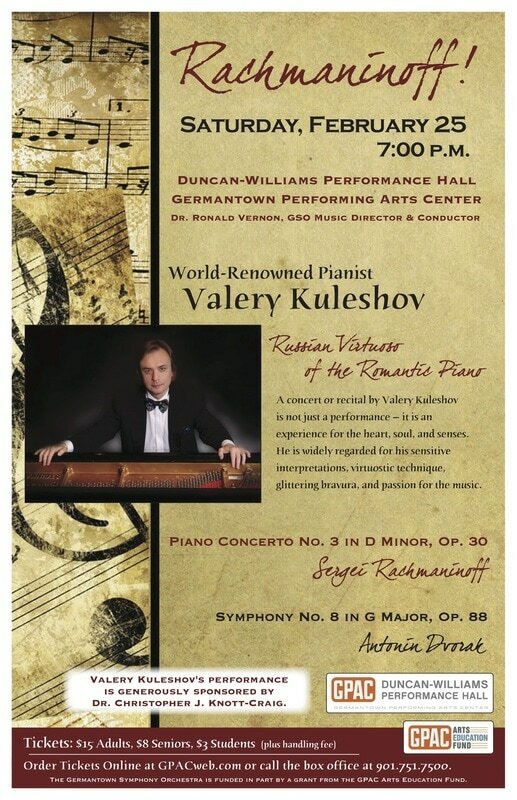 A concert or recital by Valery Kuleshov is not just a performance, it is an experience for the heart, soul, and senses. It is for his sensitive interpretations, virtuostic technique, glittering bravura, and passion for the music that he has been named the “Russian Virtuoso of the Romantic Piano”.